Youth-initiated mentoring (YIM) is an innovative approach in which youth select adults to serve as mentors in formalized matches. It holds great appeal for its potential to help with long-standing issues facing mentoring programs such as volunteer recruitment and attrition and low to modest effect sizes of mentoring, particularly for higher risk youth. However, few programs have implemented this approach. This presentation will detail findings from a study of the efforts of two programs – one serving youth involved in the juvenile justice system and the other foster care youth – to implement YIM and the experience of the youth and mentor participants in these programs. 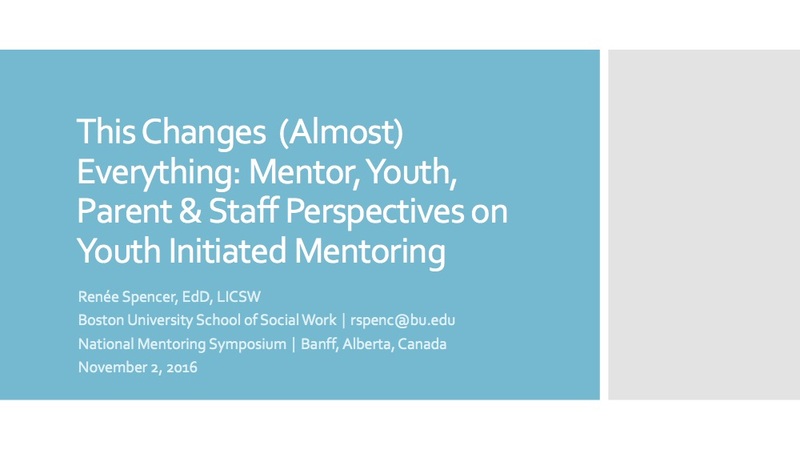 The influence of YIM on the entire mentoring process – from mentor selection through relationship development and duration – will be detailed and implications for program practice discussed.